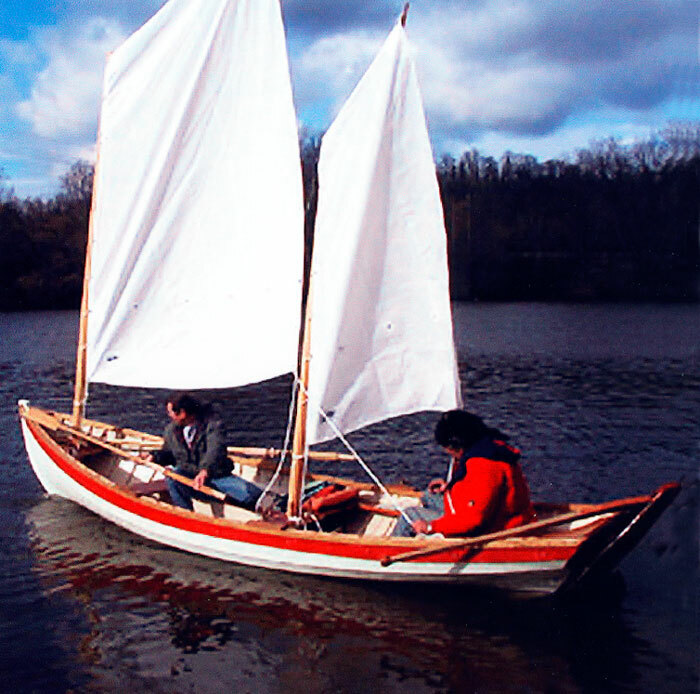 Members of Marietta Boatbuilding Workshop built this Newfoundland Trap Skiff. They plan to sell her as a fundraising project for the Marietta Rowing and Cycling Club of Marietta Ohio. She was built during the summers of 2001 and 2002 with white cedar planking over white oak frames. The thwarts and transom are mahogany. Fastenings are copper and bronze. 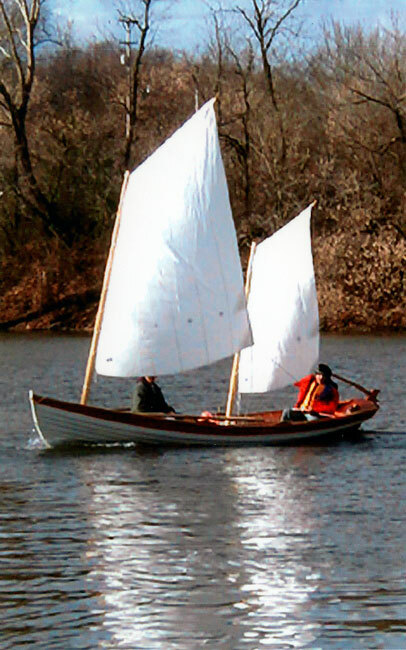 Walter Simmons designed this 19' x 5'4" skiff. After launching her on November 23, 2002, they found she rowed very well with the 10' oars, and sailed 'very fast' under her cat ketch rig.